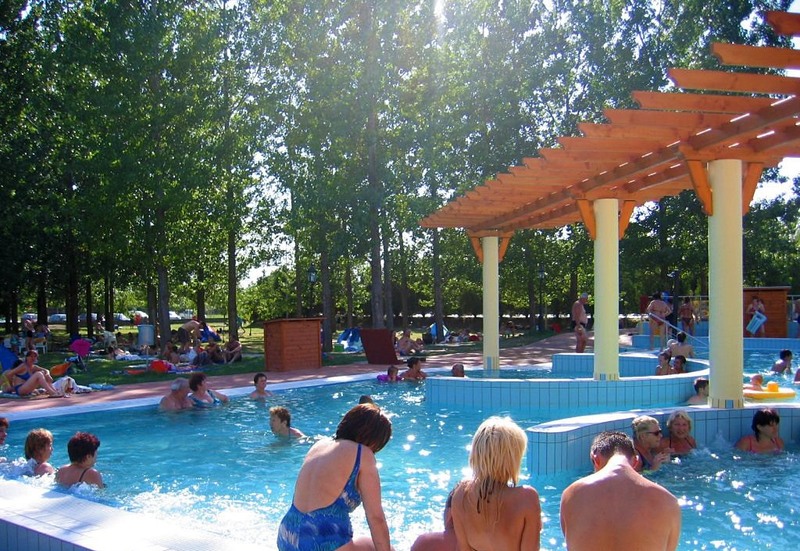 The Dávodi spa and its outdoor park, has proved its popularity for decades among local residents. 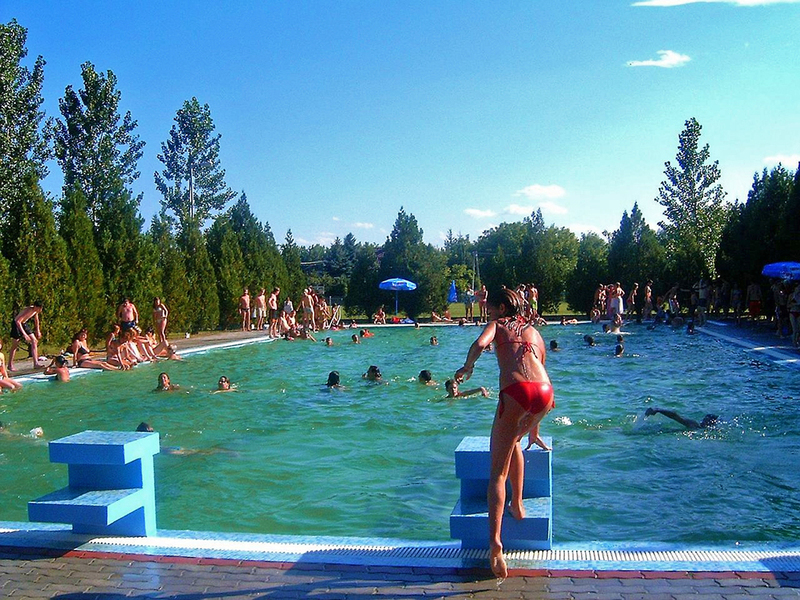 The thermal waters encourage a feeling of general wellness, and aid in the healing of many symptoms related to rheumatological, respiratory, gynecological and other ailments. The history of this bath goes back to 1914, the period of the first excavations, which had to furnish potable water to the population. Since then, the spa has been continuously evolving, until a complete renovation in 2009. This most recent makeover created an entertainment pool, which has become a favorite part of the spa for families and other users alike. 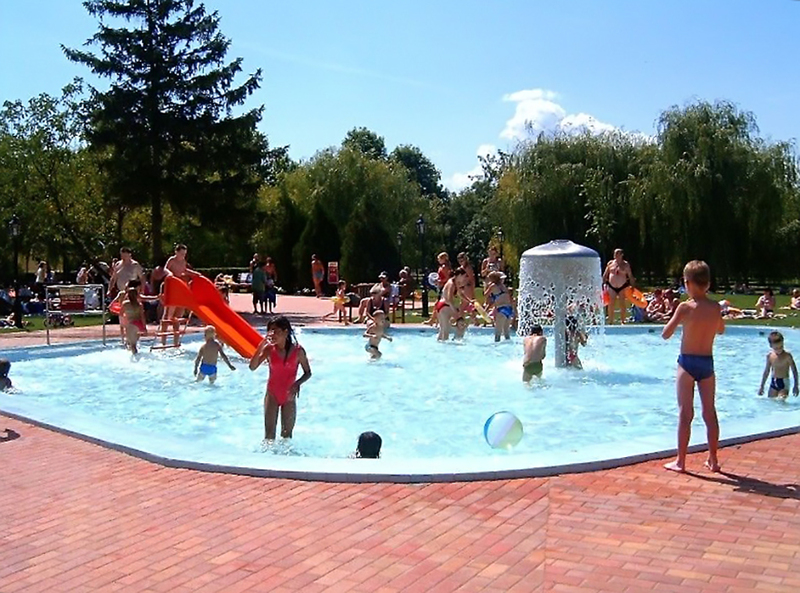 It is place for everyone to enjoy. 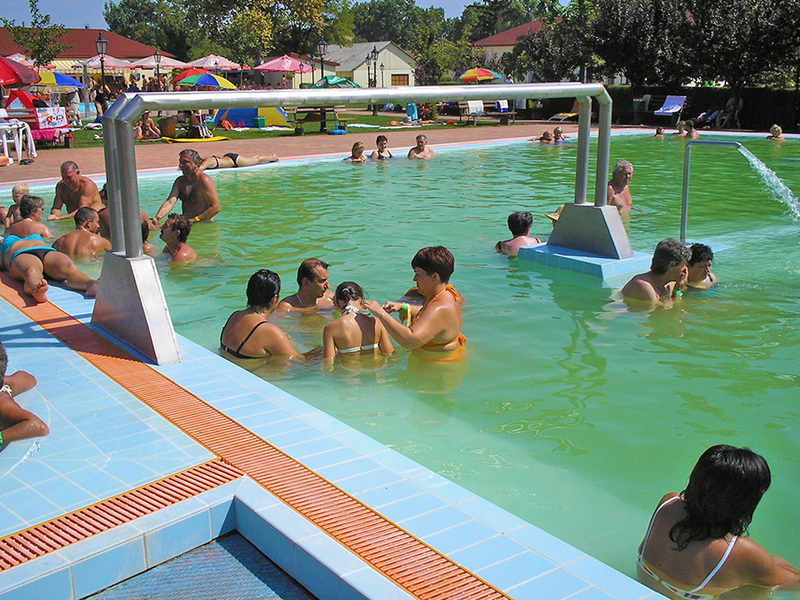 There is something for all ages with the pool for children, the toboggan pool, the pool for swimming or the medicinal pool for the elderly or unwell. ONLY OPEN DURING THE SUMMER SEASON : from June 10th to October 15th 2017.